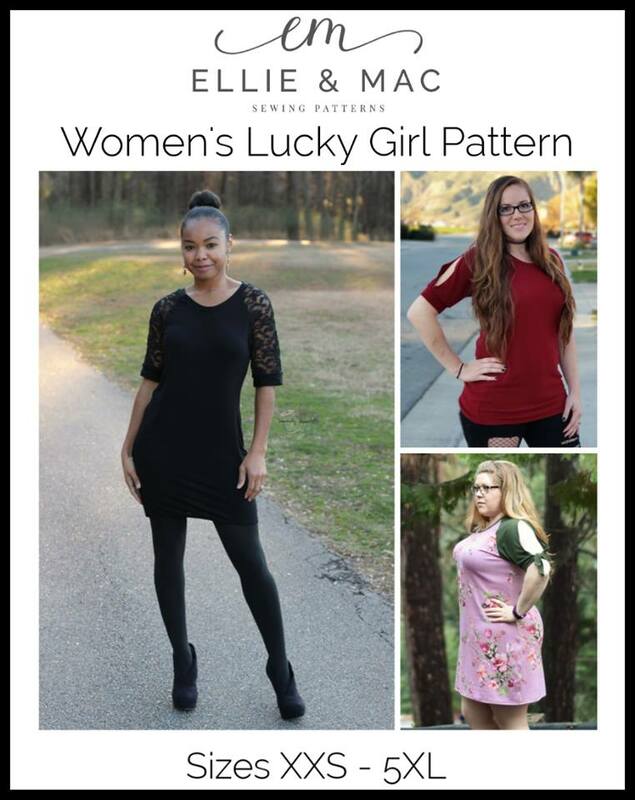 Yesterday I saw a lot of posts for Ellie & Mac’s new release, (Women’s) Lucky Girl. This is a pattern company that I hadn’t tried before so I was a bit hesitant on buying this, but after seeing it promoted throughout the day, I caved. I figured it was only $3.85, so what did I have to lose… plus those sleeves (which is very reminiscent of the Mimosa, but with a different hemline and raglan sleeves). Now to figure out what in the world I’m using for fabric and make this one up. It’s supposed to warm up this weekend and I’m thinking that this might be a great top to wear out! This entry was posted in Uncategorized on January 30, 2019 by stacy. I just discovered E&M a couple of weeks ago and am loving their patterns. Every week they have wacky Wednesday and sell a few select patterns for $1.00! I have made the Be Mine cardi and will be tracing out the Lucky Girl tee today!